Qtilities is a set of well documented and mature Qt C++ libraries which provides building blocks for Qt applications, allowing rapid application development. The project consists of different modules which provide features which are common to a wide range of Qt applications, with the main goal of making common things easier to do. 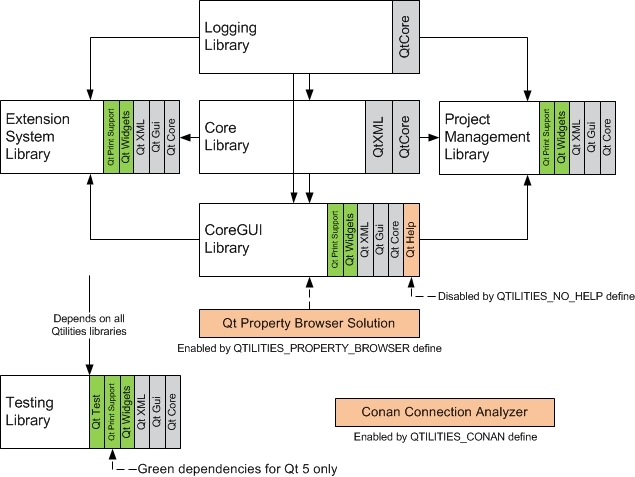 Qtilities uses a flexible licensing scheme, providing GPL or LGPL licenses for open source applications and an innovative commercial licensing scheme. If you are an individual or a small company, you can get a commercial license by making a donation of any value, 1$ or 1000$, its up to you. For bigger companies, per developer annual commercial licenses are available. Qtilties consists of different modules, allowing you to link only against the modules you want to use. In addition, if you develop an application using the Qtilities Extension System, you can use a set of ready to use plugins. For more information, see the Modules documentation page.